Heat oven to 425 degrees F. Coat a 9-inch cake pan with cooking spray. In a large mixing bowl, stir together flour, 2 tablespoons granulated sugar, brown sugar, 2 tablespoons cornmeal, baking powder, 1/4 teaspoon salt and cardamom until well combined; knead in 4 tablespoons butter until well incorporated and mixture turns crumbly. In a medium bowl, whisk together milk, vanilla and egg until well combined; stir into flour mixture until just combined. Place batter evenly into prepared pan. Top with plum and nectarine slices. Melt remaining 2 tablespoons butter in a medium bowl; stir in remaining 1/3 cup granulated sugar, remaining 2 tablespoons cornmeal, remaining 1/8 teaspoon salt, lemon zest and allspice until well combined. Sprinkle sugar crumbs on top of fruit. Bake for 40 minutes or until golden brown and bubbly. Cool on a wire rack. To make the honey whipped mascarpone, in a large mixing bowl, using a mixer on medium speed, beat together mascarpone cheese, Greek yogurt and honey until well combined and fluffy - about 1-2 minutes. Serve cake with honey whipped mascarpone. 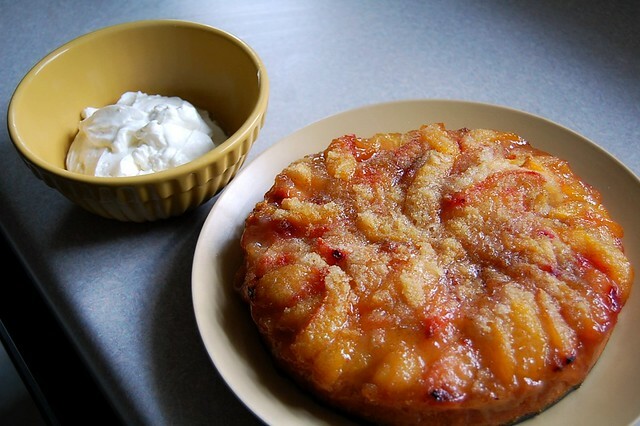 27 comments on "Nectarine-Plum Cake with Honey Whipped Mascarpone Yogurt"
Wow! Looks amazing, as always. Glad your first day went well! Yum! 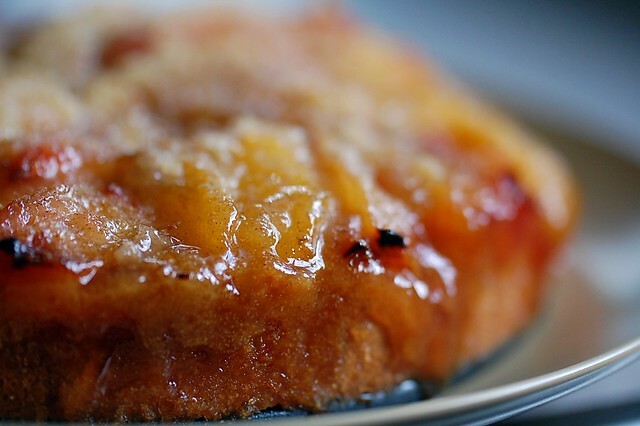 I make this recipe often in the fall, the base cake tastes like pancakes! That cake looks so good, but that whipped yogurt sounds amazing! Looks delicious!! And congrats on good first day. I would enjoy learning all about all the different cheeses. Can't wait to try this! Looks absolutely delicious!! Yum, food samples at work. I may try this with all plums. I have lots of prune plums from Costco that were not so awesome. Which are probably less awesome now. Ugh, what a waste of money that was. This is one of the most beautiful frut based cakes I have ever seen. I so want a slice. Glad your new job is going well - any job takes adjusting to, you'll be used to the schedule in no time! This cake looks absolutely amazing! Can't wait to grab some fresh nectarines and start baking with them. Sounds like you had a grerat first day. Once again congrats on your new job, no shifts and being around delcious food all day!! Congrats on your new job. I hope you will like it. This cake looks good, but this cream, it looks heavenly good! Glad your first day went well! The cake looks good. I'm so glad you're liking your new job! 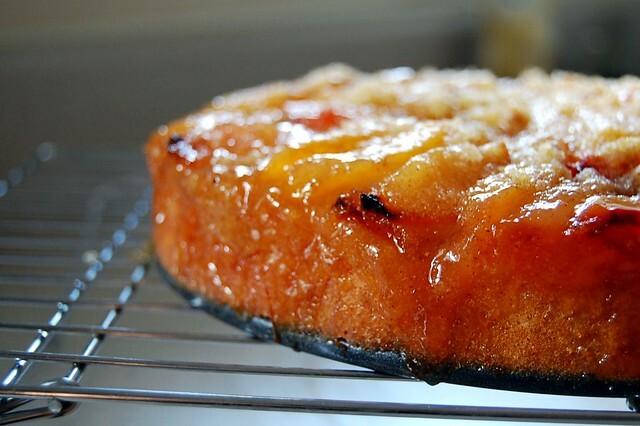 This cake looks like the perfect use for the season's stone fruit! Super yum. Happy for your new job! It seems really interesting. The cake is delicious, I ove plums and nectarines, summer fruits are so good. cake looks great..and awesome about your new job! I hope you love it! This is BEAUTIFUL! I love fruity cakes so so much and this looks gorgeously moist and just perfect :) Lovely! Oh, one more thing. The next time you have a cake to drop off at a friend's, could you instead stop by the post office and SEND IT TO ME?!! PLEASE!!! Mmmm, mmm, mmm. You can do no wrong! 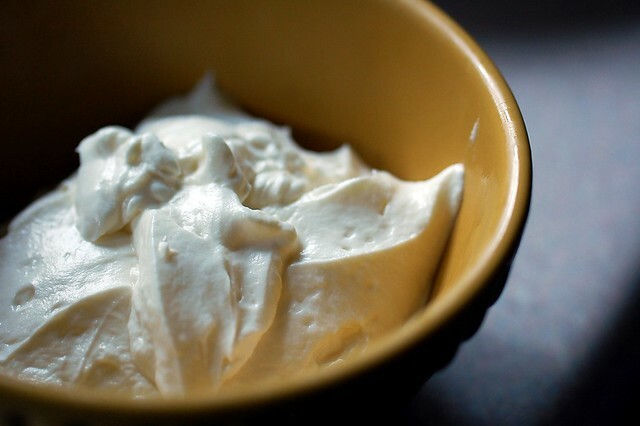 i think i would like to bathe in that honey whipped mascarpone. that is all. I've been reading your blog for a while and I always look forward to your new recipes. Congratulations on your new job, but I have to ask how is it possible that you are not writing a cookbook? Seriously, you should be a cookbook author. Your book would be both beautiful and delicious! Amy, oh I hate when that happens. These plums and nectarines weren't the best, if it makes you feel better. Ripe and juicy, but not very sweet or flavorful. P.S. you'd have fun there! Today we tried authentic parmigiano reggiano. Sue, hahaha the dean of brownie U. I forgot about that. Nuts, whoops. That was a typo. At first I spelled it tallagio, then looked up the right spelling, but then spelled it wrong again. I did know it was tal though. 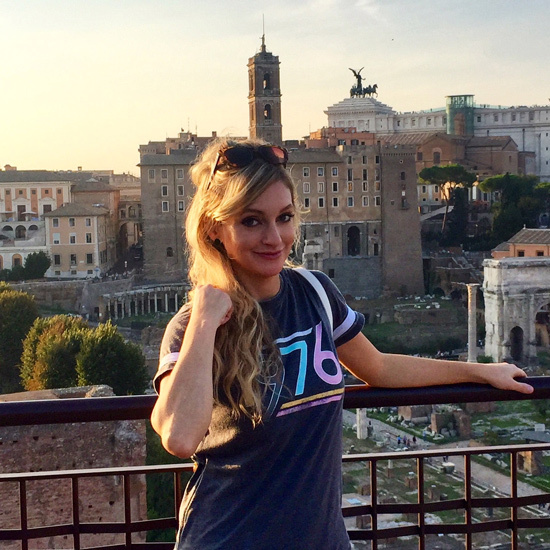 Lee, thank you so much for reading my blog! One of my goals for the future is to write a cookbook. Someday, I hope! Congrats on a great first day! This cake sounds delish. I love the addition of cornmeal, and that topping sounds fantastic! That whipped yogurt sounds delicious! Good luck at your new job!